Listening, changing, improving and rewarding. The most important thing to our business is you, our customers. That’s why, we genuinely care about the experience you’ve had with us and would love to hear your feedback on our services – good or bad! Have a read of some of our testimonials here. Good feedback is always welcomed, so we can reward our staff who go over and beyond for you. We do a lot of rewarding!! We actually feel bad feedback is more important though, as this allows us to listen, develop, improve or launch services. 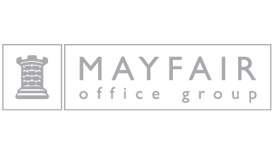 You can provide us your feedback by completing the form on this page or if you’d prefer to speak with us in person, pop into any of our café style offices to have a chat with our friendly agents. Our membership with The Property Ombudsman (TPO) demonstrates our commitment to Professional Standards. TPO’s Codes of Practice have been produced in consultation with the industry and other industry bodies. They provide a benchmark for our staff to work to ensuring a consistent service for our clients. TPO’s Codes of Practice for Residential Estate Agents and Residential Letting Agents have been approved by the Trading Standards Institute. By abiding by TPO’s Codes of Practice we are working to higher professional standards that are currently required within the industry. TPO carry out regular audits of members to establish compliance with the Codes of Practice. Therefore you can be rest assured that all standards are met and legislation is up to date. If a dispute arises it saves time and avoids potential legal costs to refer the matter to TPO after completing our in-house complaints procedure. All feedback is really important to us, good or bad, as it helps us better ourselves as an agency. If you wish to make a complaint, click on the buttons below to reveal our complaints process. If as a vendor or purchaser using Prospect Estate Agency, you wish to make a formal complaint, please address it to the Manager of the office you are dealing with. A complaint can be made via e-mail or letter, but must be made in writing. Upon receipt of your complaint the Manager will confirm acknowledgement within 3 working days, thereafter your complaint will be fully investigated by speaking to the staff involved, checking our system for notes and actions and he will respond to you in fifteen working days. Mr Macbeth will then respond in writing, with a ‘Final Viewpoint Letter’, in fifteen working days. 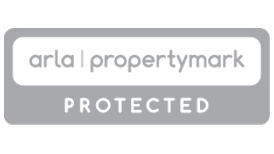 It is always our intention to fully resolve any complaint that our vendors or purchasers may have, however, should you still feel that your complaint has not been resolved to your satisfaction, then you can contact The Property Ombudsman, as we are long standing members of this organisation. 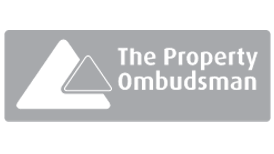 The Property Ombudsman will require you to have fully exhausted Prospect’s internal Complaints Procedure and for you to be in receipt of a ‘Final Viewpoint Letter’ from us, before they will look into your complaint. Any complaint must be lodged within twelve months of the receipt of a Final Viewpoint letter from Prospect. If as a tenant or landlord of Prospect Lettings, you wish to make a formal complaint, please address it to the Lettings Manager of the office you are dealing with. A complaint can be made via e-mail or letter, but must be made in writing. If you are not satisfied with the Manager’s response to your complaint, you can write to the Residential Lettings & Property Management Managing Director, Mark Towell, 24 King Street, Reading, Berkshire, RG1 2HE or email him at mtowell@prospect.co.uk. Mr Towell will then respond in writing, with a ‘Final Viewpoint Letter’, in fifteen working days. It is always our intention to fully resolve any complaint that our tenants or landlords may have, however, should you still feel that your complaint has not been resolved to your satisfaction, then you can contact ARLA (Association of Residential Letting Agents) or The Property Ombudsman, as we are long standing members of both organisations. Both ARLA and The Property Ombudsman will require you to have fully exhausted Prospect’s internal Complaints Procedure and for you to be in receipt of a ‘Final Viewpoint Letter’ from us, before they will look into your complaint.